Waking up in a castle was certainly not something I’d experienced before and Ballindalloch was all about the royal treatment. I was dressed and ready for breakfast in the formal dining room bright and early. 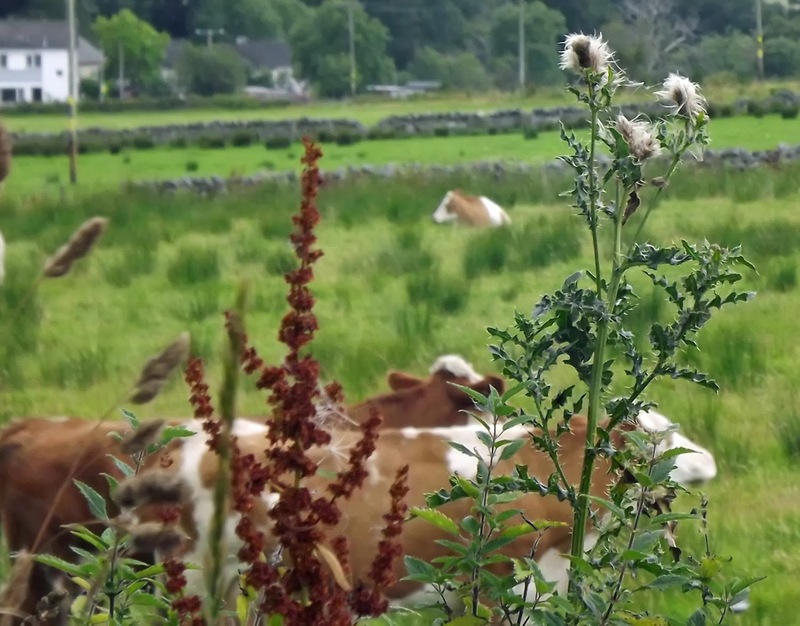 I enjoyed some yogurt with fresh blueberries and pancakes, with a few cups of brewed Earl Grey tea to get me going for a full day in Scotland. 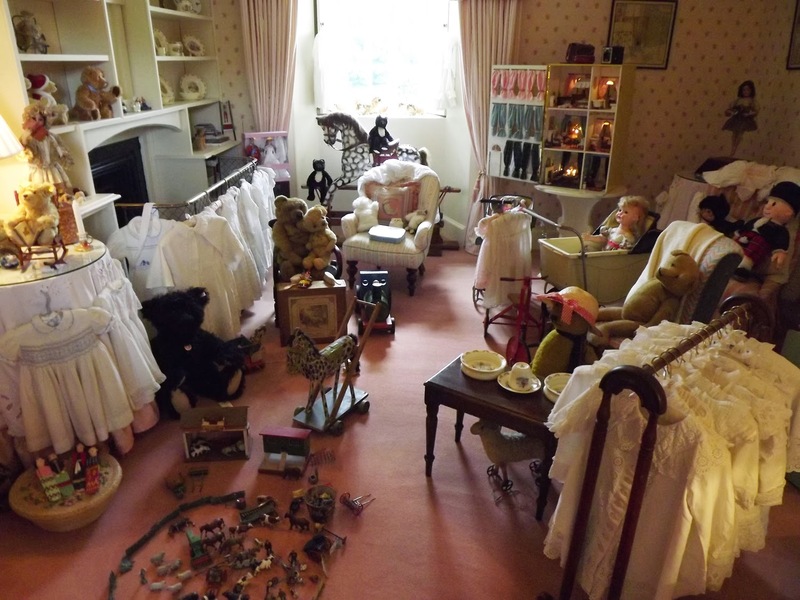 Clare Russell took us on a brief tour of the castle, exploring the hidden staircases and beautifully decorated rooms, which included an old nursery with toys that dated back to the 19th century. 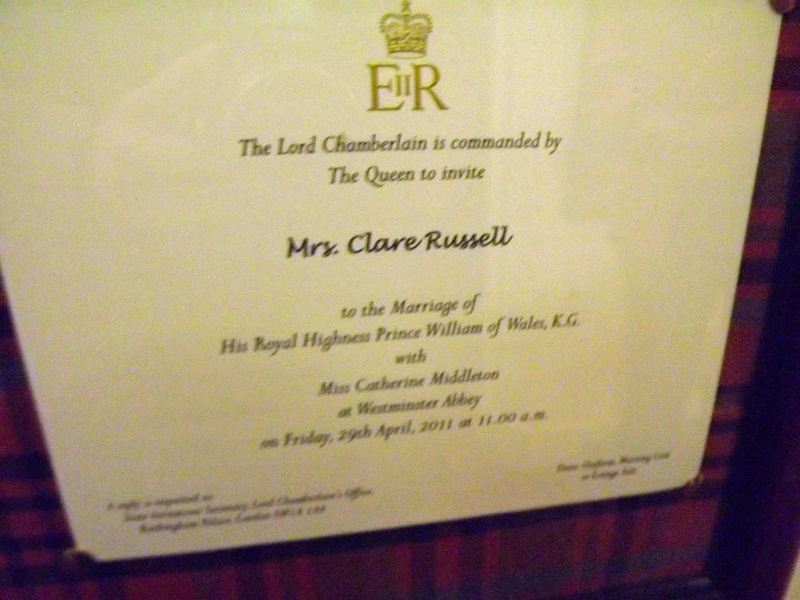 We also saw invitations and photos from the royal family at many occasions (like the wedding of Kate and William) she had attended. 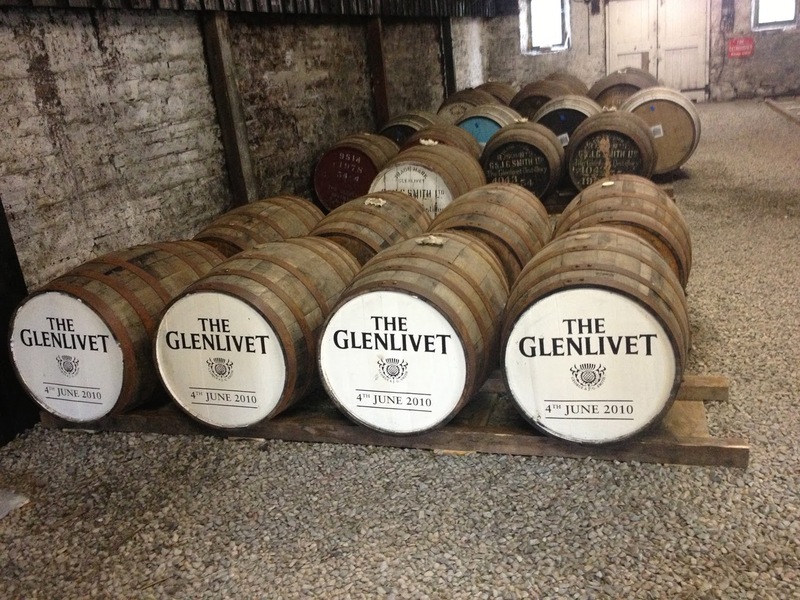 After the tour we headed into vans and went to the Glenlivet Distillery. It was much more modern than Strathislava had been, even offering spectacular views from the top floor. The new visitor’s center had just opened in 2009 and Prince Charles actually came for the official opening. 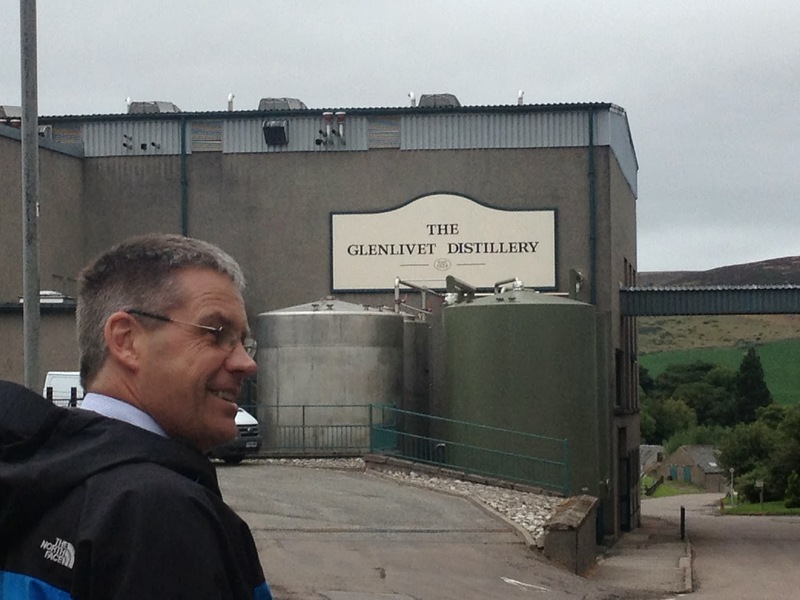 When we finished the tour with Master Distiller Desmond Payne did an informal tasting and learned about how Josie’s well provides the mineral rich water that gives Glenlivet its unique taste. My favorite was the 2010 Founders Reserve, with floral notes and a bit of caramel, but not as nutty as many whiskies, perhaps due to the fact that it’s aged in Spanish oak. We were back to the castle for lunch and a glass of Jacob’s Creek Steingarten Riesling. I enjoyed the chicken with vegetables, but not as much as the dessert, which I was not embarrassed to be the first to grab seconds of. It was the most delicious apple raspberry cobbler, covered in meringue instead of a crust to keep it light and fresh. As we ate our dessert and sipped coffee, we discussed the plans for the afternoon. We were offered the opportunity to go fishing or shooting. 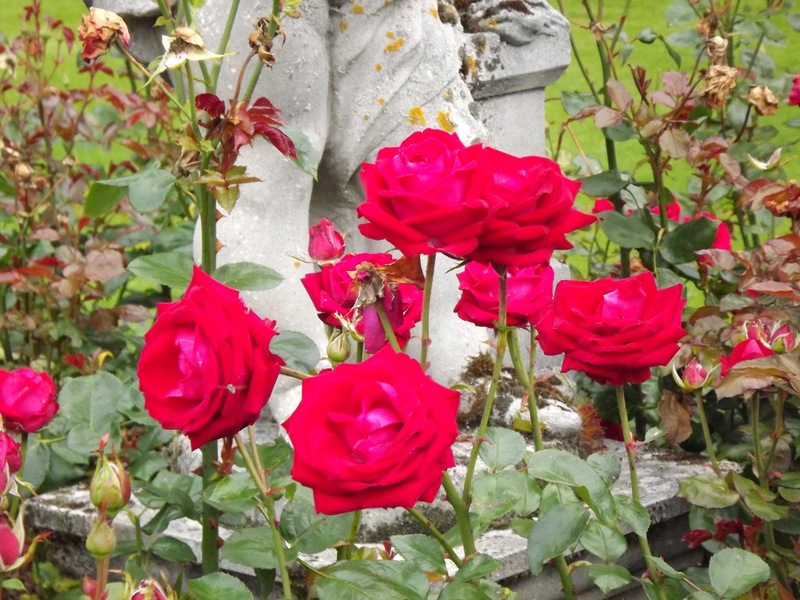 Everyone agreed with my sentiment that we wanted to see more of the estate and more of Scotland, so we headed out on a tour that included checking out the prize winning cattle and rose garden of Ballindalloch, as well as the llamas and alpacas. We also were able to preview the beginnings of the new distillery that will be owned and operated by the estate. After the tour we warmed up in the Russell’s private library with for afternoon tea and warm cookies before I headed to my room to change for dinner. The itinerary I had been given requested that I bring a black dress that would be covered with a sash. 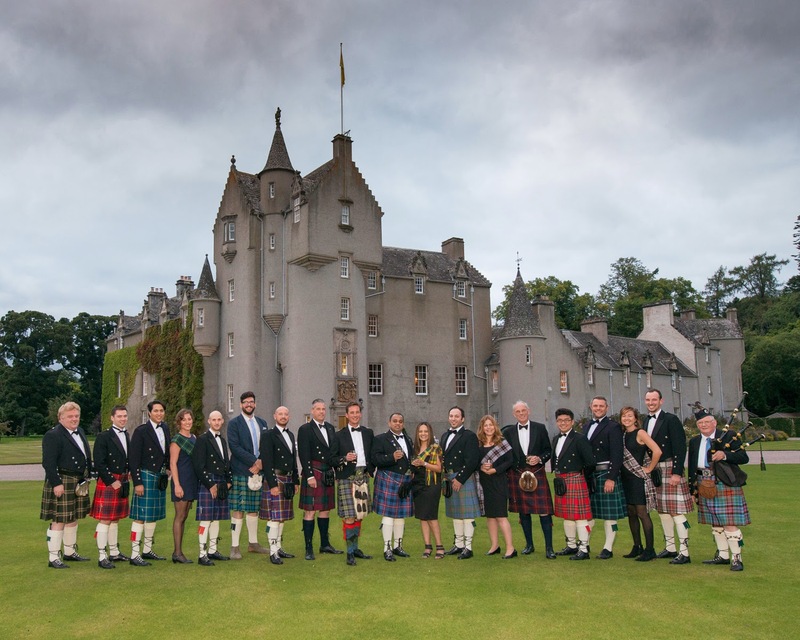 The men were all given traditional Scottish kilts. 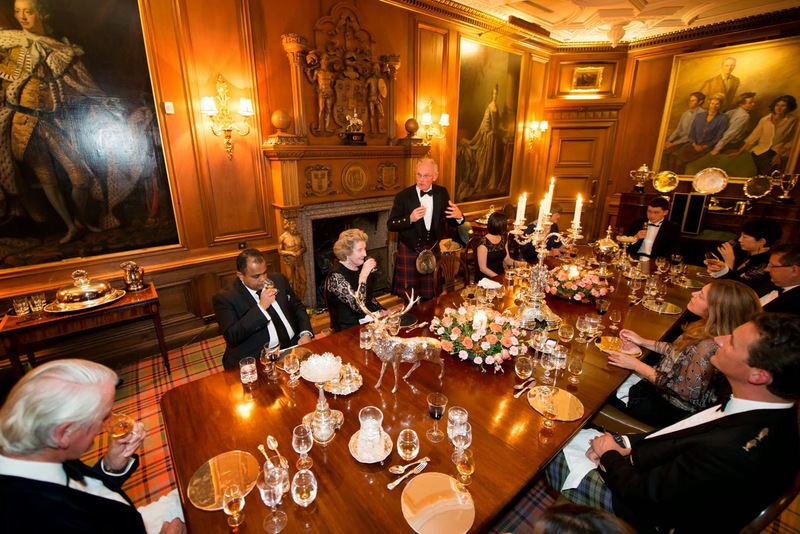 Dinner was once again in the formal dining room, but this time we were treated to a story on the Scottish delicacy haggis and had a local band playing during the meal. I even got up at one point for a bit of Scottish dancing. There was plenty more scotch whiskey with dinner, from Royal Salute to Glenlivet, each one was smoother than the last. We finished with a homemade cinnamon ice cream with banana and a drink in the library. I didn’t stay long as I had an early flight back to the States. I bid farewell to my new Scottish friends, vowing to come back as soon as I could. It was a long trip home, from Aberdeen to London, London to Chicago and then Chicago to Champaign, but the inclusion of a lie back seat in American Airlines Business Class at least gave me eight hours of relaxation (and good food). 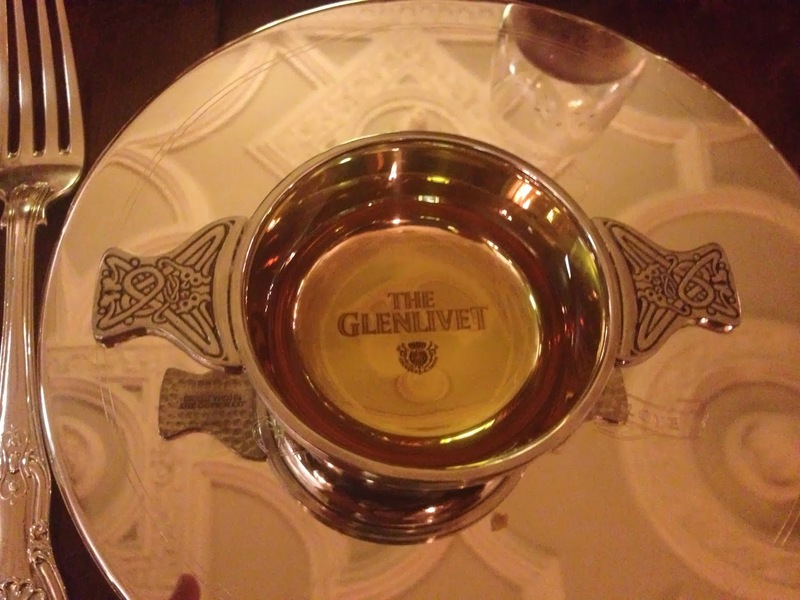 The trip was much too quick and I hope to discover much more of Scotland – and scotch – in the near future.